At Hallin Fell House you're living in the view. Inside the spaces flow and luxury abounds. 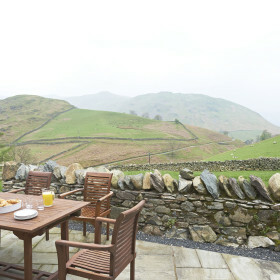 Outside there's breakfast on the terrace, the sun on the rugged Lakeland hills and a smile that won’t leave your face. If the sun doesn’t beam upon you as you approach Hallin Fell House, you’ll melt when you see the views. Single-track roads snake across the Lakeland fells beneath dappled sun; shadows of clouds ghost over the hilltops. 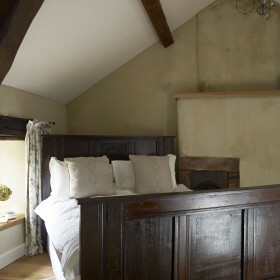 You’re won over before you’ve even reached the oak kitchens, wet rooms and antique beds inside. 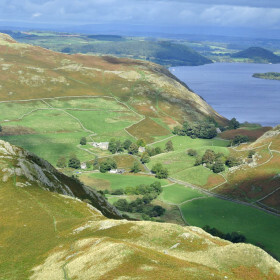 Hallin Fell appears sculpted from the landscape – except the sweeping fells and dry- stone walls would never harbour such luxury. 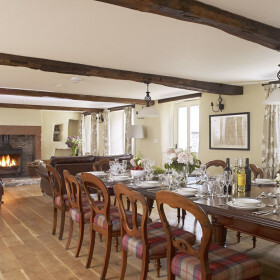 The cast-iron open fireplace invites curling up or chatting, the oak kitchen and Aga will feed you well on fresh local fare, and the modern bathrooms will soak and steam you after a day on the fells. Hallin Fell Barn is a terrace width away. Cruik trusses characterise the gallery, bedroom and bathroom. The staircase and doors are solid oak. There’s a private terrace with box-seat views of the rugged hills. Chilly? 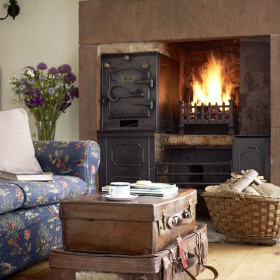 Light the fire, curl up with a page -turner or cuddle up with someone special. 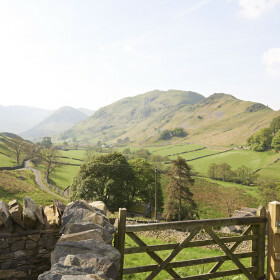 Hallin Fell House is where tradition meets modernity, and where you can hike the hills direct from the house – or potter to the village pub for a pint. At the end of the day, you’ll collapse in front of satellite TV and a roaring fire with your friends, your family and your dogs. What could be better? Where do the gardens end and the Great Outdoors begin? At Hallin Fell it’s all one. 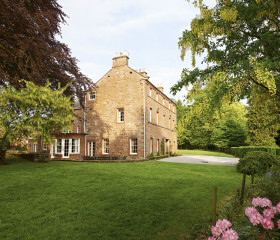 Spark up the barbeque, pop a cork or two on the sandstone terraces and admire the views. 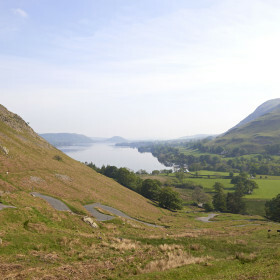 The fine greenery kicks off the Ullswater lakeside walk from beneath Hallin Fell, described by fell-walking guru Wainwright as “the most beautiful and rewarding in Lakeland”. 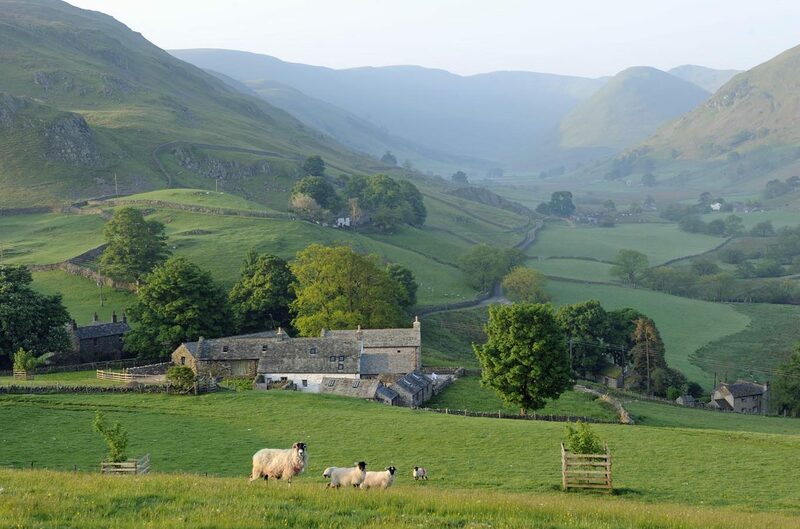 Pack a picnic for a wander among the valleys. 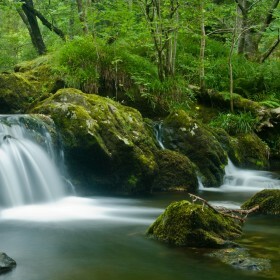 Find crystal clear streams that cry out for paddling. 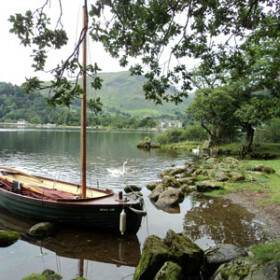 Plan cocktail parties in the formal gardens, or take a boat out on Ullswater. 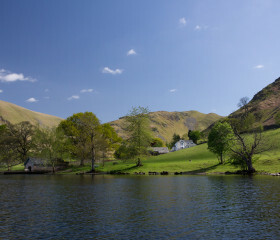 Live in splendid isolation at Hallin Fell House, or get the clan together for a great time. 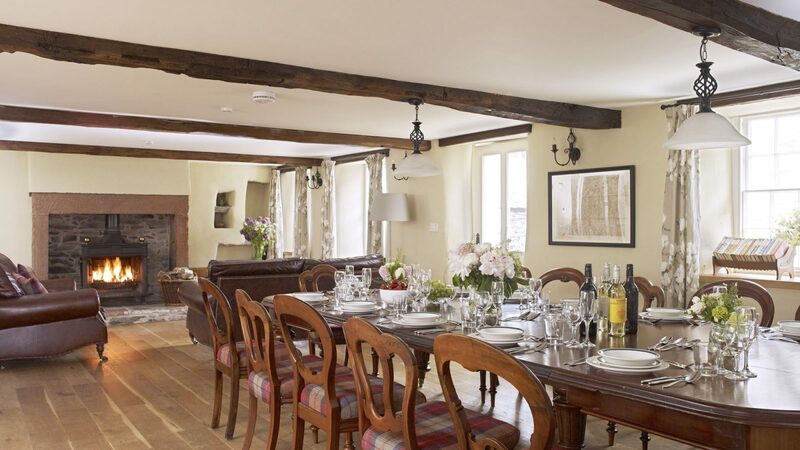 The farmhouse and barn are fine for fourteen and the terrace and reception spaces are primed for parties. 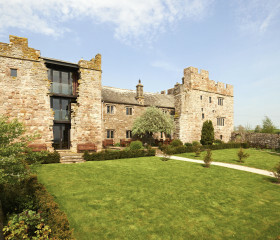 Everything flows here, from the lounge and dining area, into the kitchen or the conservatory, and out onto the terrace. If the weather does its worst, you could do worse than gather together around the cast-iron open fire for games, drinks or even songs. Whatever the weather you can enjoy the stunning views from the conservatory lounge, losing yourself in the shifting skies. 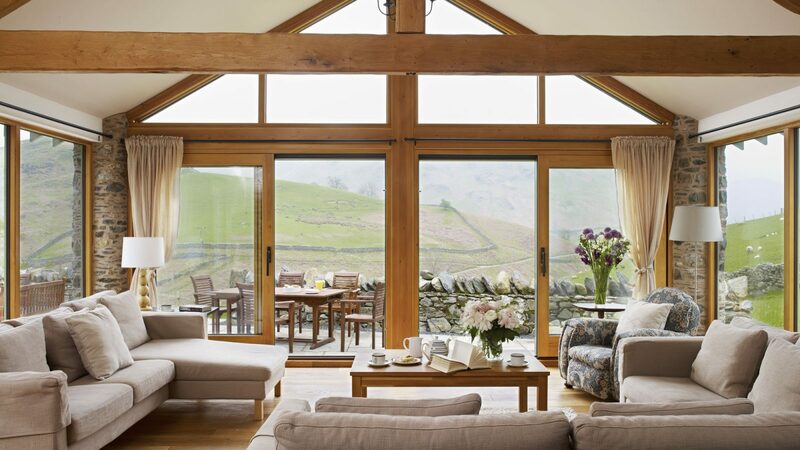 Hallin Fell is built for comfort, with its four-oven aga, oak kitchen and modern luxury bathrooms. But there’s speed, too, with the satellite broadband – so you keep in touch with the real world, even in this fantasy one of lakes, mountains and monastic peace. 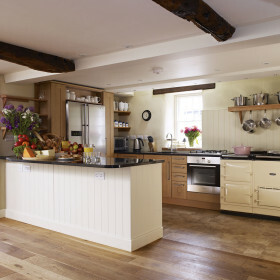 Hallin Fell House is a home with a heart and it’s right here in the large oak kitchen. 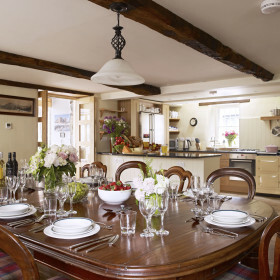 Cook fresh and local for friends and family on the four-oven Aga or have a recommended caterer take over. 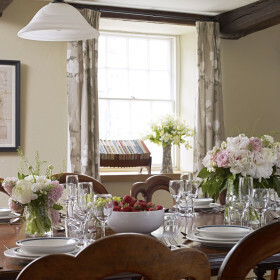 Have a fabulous feast prepared and delivered with fresh local ingredients. Choose from a wide range of options, including Lynn Hilditch Catering and Sara Ecroyd Catering. You can order your groceries from Sainsbury’s or Tesco, or push the boat out with the specialty local butcher, greengrocer and local chef deliveries. 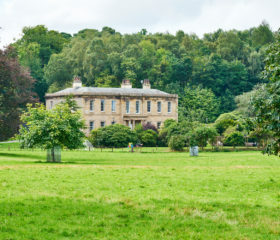 Munch on a Staffield Hall meat pie or pick seasonal fresh fruit from the Rowleys’ raspberries field. In fact, you might never want to leave the Master Bedroom, which extends over the full length of the Upper Barn. That’s fine – we do meal deliveries. 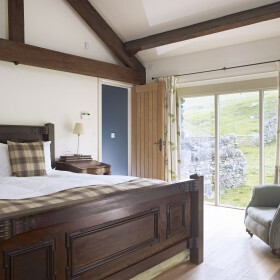 After the deepest sleep of your life, you’ll leave the six-foot antique-oak bed to gaze at the majestic crest of Hallin Fell from floor-to-ceiling windows. But why hurry down to breakfast? Dither and choose from the cast-iron rolltop bath or rainfall shower. Contemplate the day’s outfit in the en-suite dressing room. But at Hallin Fell, there are no short straws in the battle for bedrooms. Stand beneath the Rampsgill’s en-suite 900mm walk-in rainfall shower or soak your stress away in the rolltop bath and you’re unlikely to feel short-changed. Configure the five-foot zip-and-link bed as twins. It’s your call. 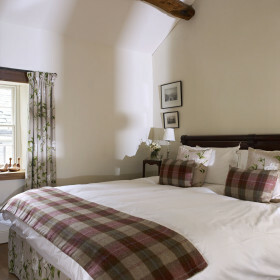 The Martindale bedroom comes with antique double bed and an en-suite wet room shower. Handmade oak storage cupboards flank a lime-plastered chimney breast. 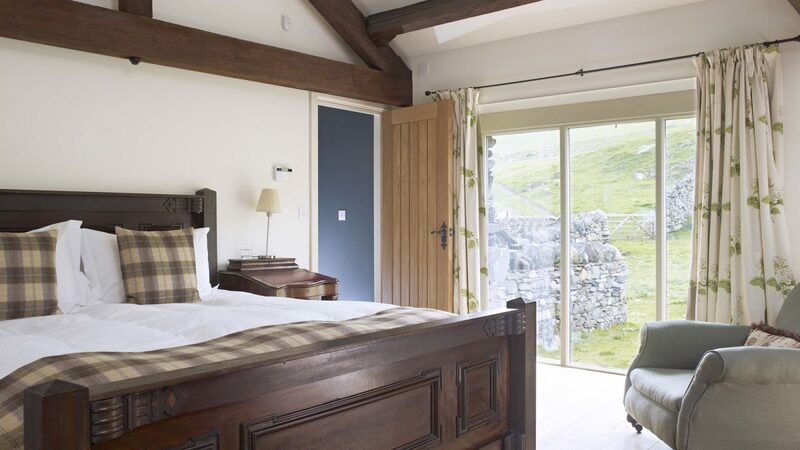 Put the kids in the three-foot twin beds of the Sandwick bedroom and they’ll love the private bathroom with conservation rooflight window that opens onto the fells. There’s a dark oak theme in the Bannerdale bedroom, offering a pleasing visual contrast to the crisp lime wash and white Egyptian cotton linen. The six-foot zip-and-link bed can be configured as a pair. At the end of a long day on the fells, will it be the cast-iron rolltop bath or the rainfall shower? It’s a delicious choice for aching limbs. Watch the rainbows in the mist at Aira Force falls. Go Ape at Whinlatter. Try paintballing in the forest or just paint some pottery. 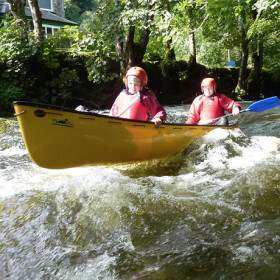 Take a lake cruise on Ullswater; walk short, long, high, or just around the lake; try canoeing or kayaking. Potter the craft shops; pig out in the restaurants. 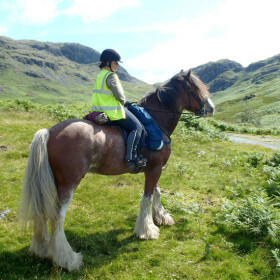 Climb the highest peaks or just pop to the pub.